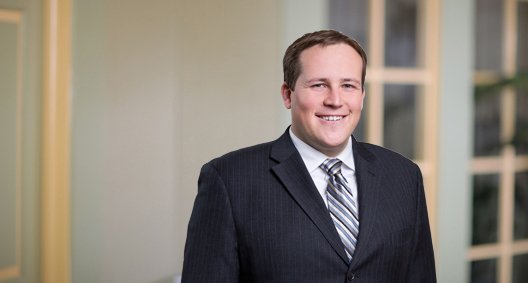 Jake Frischknecht represents clients in international trade litigation and compliance. He counsels clients on antidumping and countervailing duty litigation, arbitration under free trade agreements and investment treaties, and disputes with U.S. Customs and Border Protection over the classification, valuation, and origin of imported goods. He also advises companies on import and export compliance, including export controls and trade sanctions. Jake lived in and around Taipei, speaks Chinese, and understands the business culture. A thorough advocate for clients, Jake places high value on researching novel issues and fully understanding the situations his clients face. Jake and his colleagues in the firm’s International Trade team were awarded International Trade Practice Group of the Year for 2018 by Law360. Won unanimous negative injury determinations at the U.S. International Trade Commission in antidumping and countervailing duty investigations involving drains imported from China and uncoated groundwood paper from Canada. Won a 0% antidumping duty margin at the Department of Commerce in investigation of uncoated groundwood paper from Canada. Represents companies submitting license applications, voluntary disclosures or other filings to the U.S. Department of the Treasury's Office of Foreign Assets Control, the U.S. Department of Commerce's Bureau of Industry and Security and the U.S. Department of State's Directorate of Defense Trade Controls. Prepared a U.S.-based client importing products from a Canadian subsidiary for a Customs and Border Protection (CBP) NAFTA verification investigation. Due to his advice, the client altered its claimed preference criterion, and CBP confirmed the client was entitled to preferential treatment. Assists companies with export controls, trade compliance and anti-corruption-specific due diligence in public offerings and mergers and acquisitions. Member of the D.C. Court of Appeals Appellate Mediation Counsel Panel. Served as guardian ad litem in a custody case before the Domestic Relations Branch of the D.C. Family Court.